© Ida Roscher Ida Roscher will work towards developing strategies for examining social relations in an intercultural environment. She can imagine to work with the situation of living with the other residents by documenting relations of different cultures, e.g. between image and practice, or between producing and using art as well as the moments of conflict between “arts”, “politics”, and “the everyday”. She would also like to capture the process of social relations in terms of the idea of working and living together. She has studied art and criminological social research. She is interested in societal forms and norms and the questions of common actions/operations in times of individualism. Using different formats (sculpture but also performance and installation), her examination of chancing societal structures tries to fathom their interdependency and where and how they get noticeable. She also works in the collaboration model COPS (Corporation Of People’s Situations) & ES. 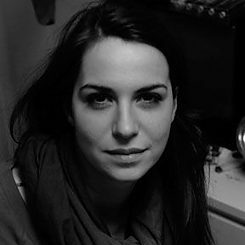 Furthermore she has gained experience in making interventions in urban spaces during international art projects and summer schools.